Kitty String just announced a new contest through Instagram. The rules are simple. Just snap a shot that related to Kitty String, either it’s on your today’s throw, recently bought KS, sticker, box or else. Post it on your instagram account with hashtag #kittystring. 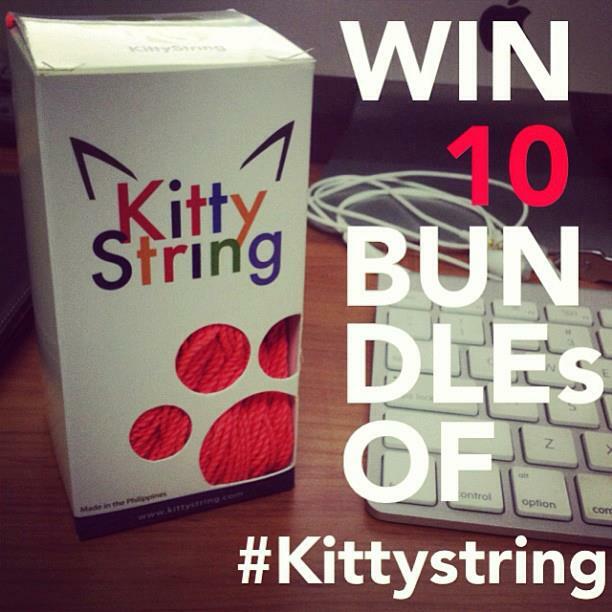 The winner will be chosen randomly and will receive 10 bundles (1,000 pcs) of Kitty String as a prize. Deadline is April 24, 2013. No limits. If you are short on strings and need Kitty String supply to participate in this contest go and check out our shop to gear up!